FIJI Water provides the earth's finest water to the world. 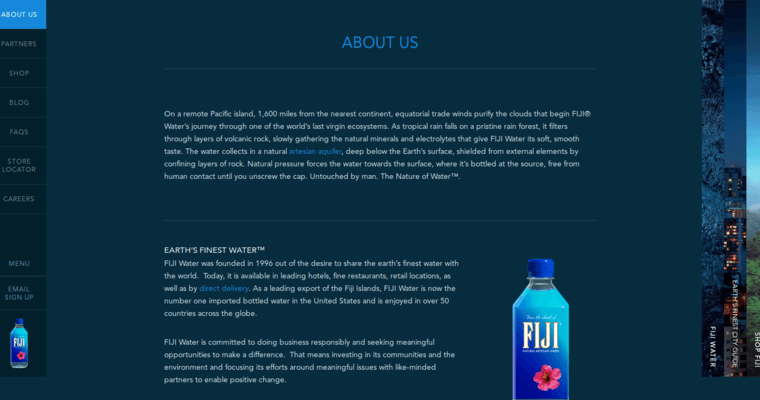 FIJI water is collected through a natural artesian aquifer on remote South Pacific island source in the Fiji Islands. The water is naturally filtered through layers of volcanic rock and contains natural minerals and electrolytes that lead to a unique, smooth taste. 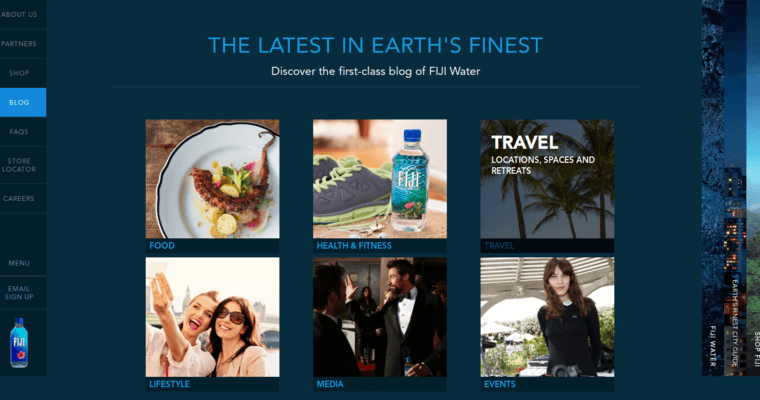 FIJI water is available through fine restaurants and hotels and retail locations as well as through direct delivery. It's the leading imported bottled water in the United States and serves thirsty customers in over 60 countries around the globe. The water is bottled in high-grade recyclable plastic containers.